﻿ International | OUR BRANCHES | ATRYZ YODOGAWA Co., Ltd.
ATRYZ’s first overseas branch. 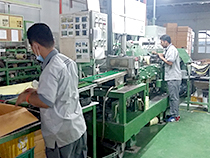 With stable supply capability, this company has been pouring efforts into 3S activities since its establishment, to keep the factory clean. 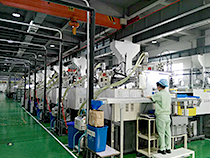 A trading company operating across a wide area in the Asian region, mainly dealing in touchscreen glass for mobile phones, car navigation systems, home electrical appliances, and other products. A factory mainly specializing in vehicle-mounted parts. 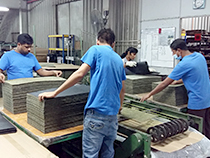 In addition to manufacturing high-quality products, this company eagerly offers proposals to customers. 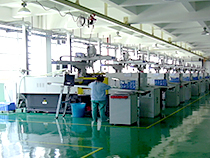 Hangzhou ATRYZ Electronics Co., Ltd.
A factory manufacturing mobile phone parts and vehicle-mounted parts. Capable of performing die machining, molding, coating, decorating, and printing. 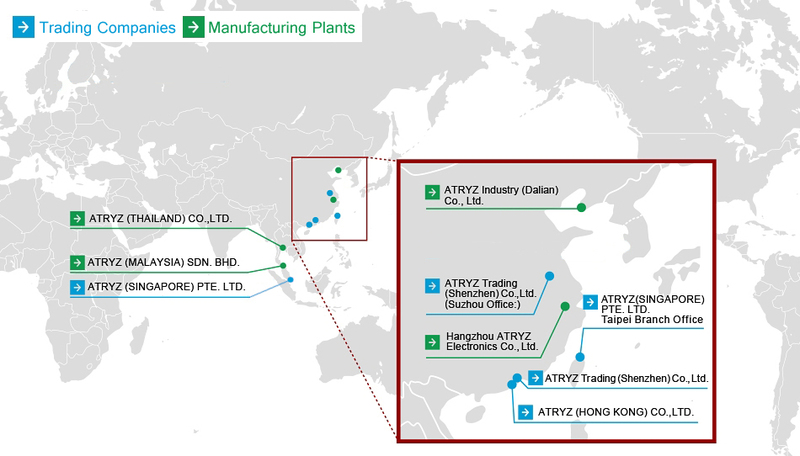 ATRYZ Industry (Dalian) Co., Ltd. This factory was one of the first to specialize in molded in-vehicle items. 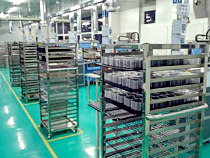 By pursuing high production quality and management, it has earned the strong confidence of customers. 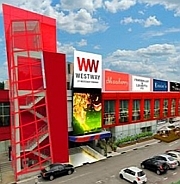 No.41-6 Wanda Road Dalian, Economic & Technological Development Zone, Dalian, P.R.China. ATRYZ Trading (Shenzhen) Co., Ltd. 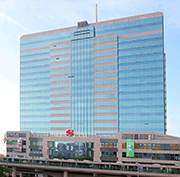 This subsidiary serves as a trading company in mainland China, dealing in a wide variety of items, such as vehicle-mounted parts, ship parts, and home appliance parts. 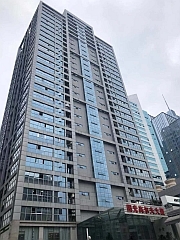 It also has financing functions in Hong Kong. It plays a key role in ATRYZ’s procurement operations. ATRYZ (HONG KONG) CO., LTD.
Conducts sales activities to supply parts to be used at portable base stations.